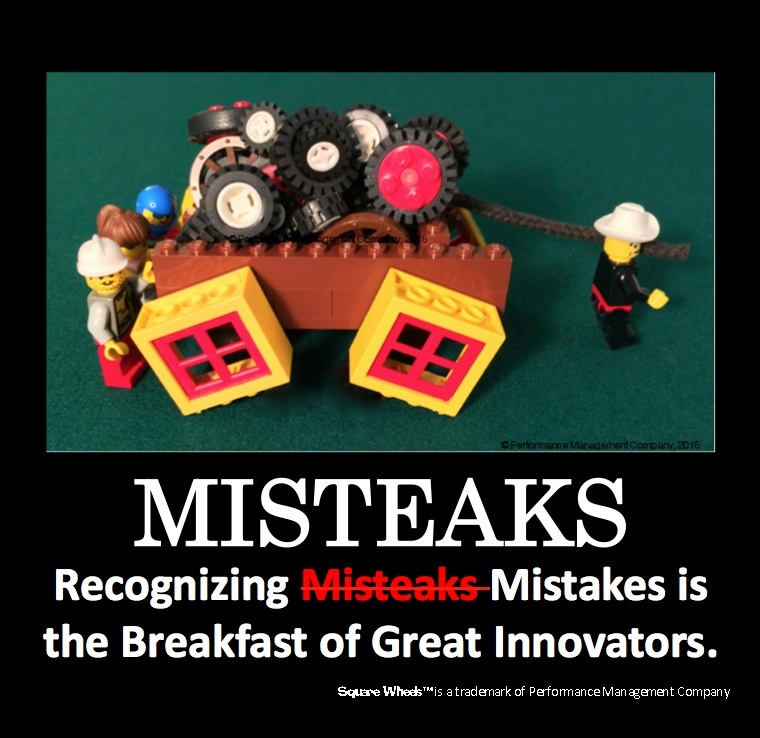 Recent talk in a LinkedIn Leadership Group got me thinking about how we deal with mistakes in the workplace. Some managers do it well and some do it badly, generating what the literature calls “Conditioned Helplessness” which is caused by contingent punishment of a behavior — that freezes things and makes learning more difficult. Often, mistakes are avoided. But there is also the reality that if you continue to do the same thing the same way, you will continue to get the same results over the long term. Is that what you really want? 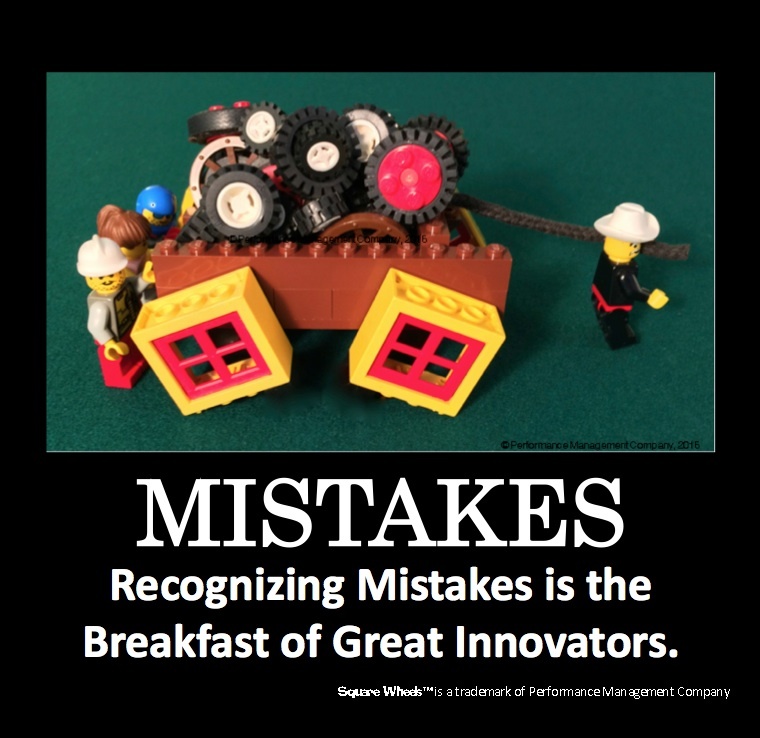 So, here is what I think is The Reality of Mistakes when they are treated as opportunities for learning and for looking at things that might be improved. Mistakes are a natural and common result of doing things differently. Innovators and Inventors always make mistakes, but they also view that as a learning experience and their persistence in trying again and again will generate a positive result over time. So, go out and make a mistake today, and learn something from it!